I came to my yoga practice when I was 44. 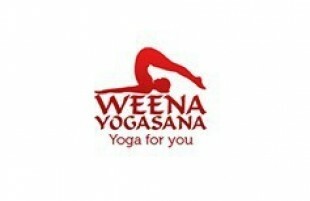 I discovered Weena's Yogasana at age 61. Six years have passed, and my learning with her continues to evolve. I am especially grateful this year to understand at a deeper level the significant meaning of energy as an essential life force; my energy. Weena guides her yogis to reach, stretch, lift, and twist just a little bit further with each pose, and then a bit more, to not only improve our strength, balance, and flexibility, but also to enhance our overall energy (physical, emotional, and spiritual). As I age, I realize this is the essence of my well-being. I have also learned from her that I can practice yoga 24 hours a day with every breath I take- and every move I make. We can consciously incorporate it into our daily existence. Weena's teaching style is passion-based, encouraging, and attuned to the nature of her students in the present moment of each unique class. She cultivates a community of dedicated yogis, new and returning, from afar and from Chiang Mai who truly advance in their personal practice from her individualized attention. We then inspire one another as we all work hard and benefit from seeing the transformation of everyone's bodies right before our eyes. I fully attribute my increased core strength and growing flexibility to the yoga discipline she provides for me. At almost 68, I love it when my entire body emanates a radiant, powerful energy. I am honored to meet in Chiang Mai, a very good yoga teacher, and that is you! I enjoyed your course, although it took some time to adapt to your rhythm. Also very pleased to know the course a good friend! I hope to return as soon as Chiang Mai, back to your course. I wish you a happy beautiful every day! You are the best yoga teacher! I really enjoyed your classes, I came to the first class feeling very mentally and physically unhealthy and thanks to you now I feel good! Please move to Los Angeles. If you ever go to Monterey Park. Go visit me! I will miss you, I wish you the best. Weena is an amazing teacher, she is an amazing amazing teacher!! I practiced yoga for 2 and half years with her, I learnt: from her!!!!! I could make my body and mind strong if, I practiced yoga seriously. Yoga is not exercise, it’s most important for my mind. To keep “Smiling” She said! To be honest to yourself. I’m back for my second time in Chiang Mai. Weena is by far my favourite yoga teacher she makes you feel great both in body and soul! I joined Weena’s Yogasana class for 12 lessons. I had been to other Yoga studios in Chiang Mai before but Weena was the first who actually corrected my postures and motivated me to challange body and mind. After every class I felt quite light, eventhough during practice it felt as if I would use up all my energy. The atmosphere at Weena’s is relaxed and everyone is welcome. The class usually consisted of Thai people and foreigners. There were as many funny moments as there was serious workout. My time at this Yoga studio encouraged my decision, to continue Yoga. Thank you Weena! HELLO!!! !Warmest greetings from sunny Beijing! I am back home. Now finally I have time to contact you and express my thanks to you. I am now 61 and have benefitted from yoga practice for many years. 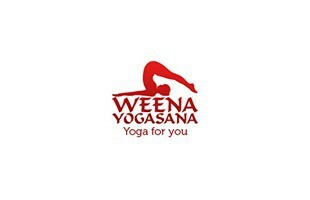 To my delight, I discovered Weena’s Yogasana this year while in Chiang Mai where I spend 4 months each year. As a former teacher in Women’s Studies, I always enjoy observing the style of teaching that my various yoga instructors employ. Weena is an excellent teacher providing inspiration, clear information, and one-onone guidance even in a class of 12 or more. I appreciate how each class begins on time and readily moves into poses so that the 1 1/2 hour is full of learning and practice. Personally, I experienced significant improvement in my stamina, flexibility, and body strength which is so important to me at this stage of my life. With Weena’s attention to me, I readily learned to adjust my positions to gain flexibility, tone and overall well being. I loved seeing how classmates also evolved with noticeable toning, strength and glowing skin. Not all yoga teachers arrange for enough time near the end of practice to fully absorb the energy and total benefit of that day’s practice. Weena’s classes always provide that important integration dimension leaving one feeling fully energized and spiritually centered. I am so grateful to know Weena and look forward to further opportunities to practice and learn from her. Her passion for yoga carries forward for her students.